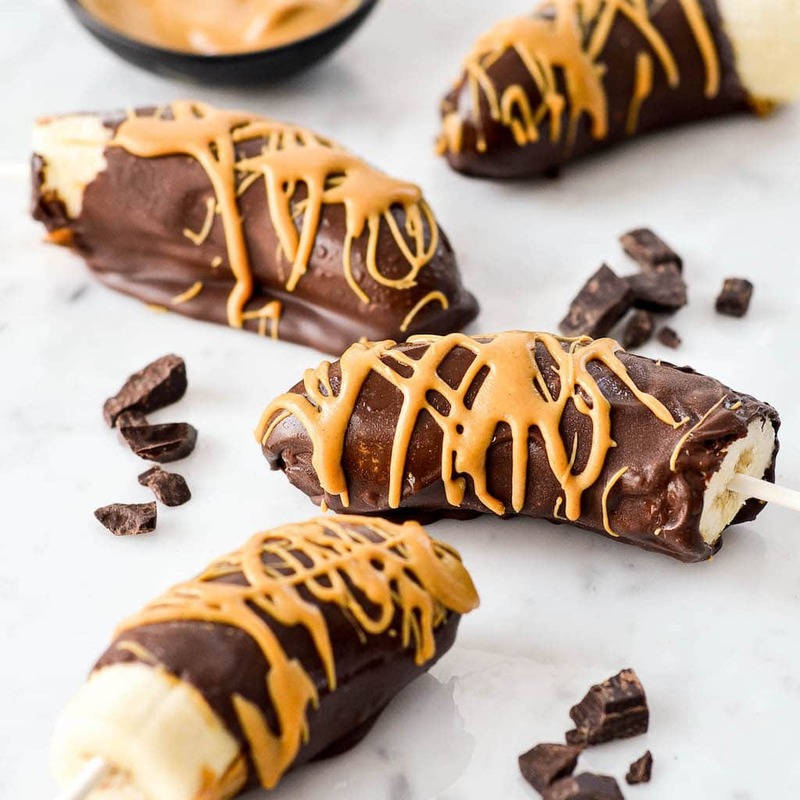 When bananas are ready، coat in yogurt and sprinkle with granola. 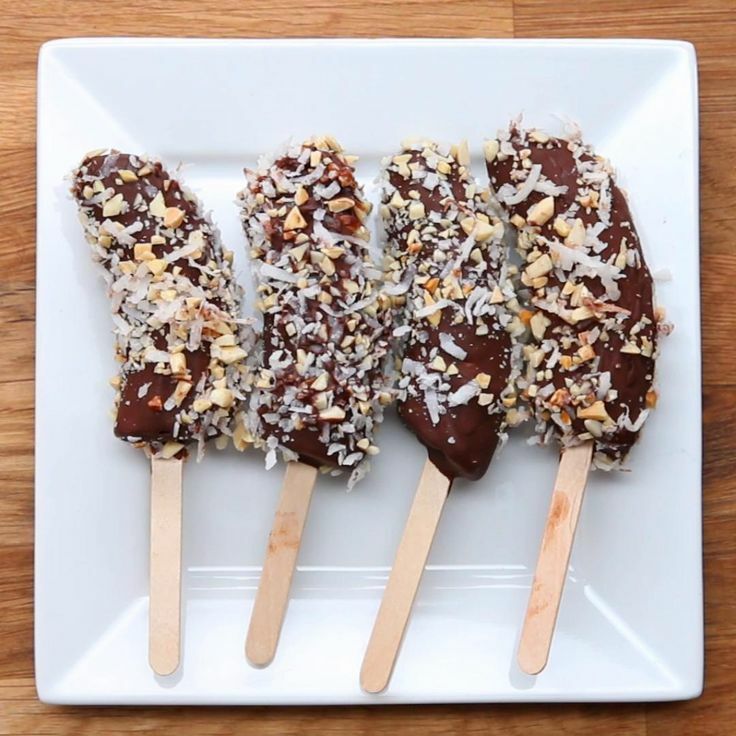 Coat bananas in chocolate and sprinkle with the almond and coconut mixture. Chocolate will harden so move quickly! Enjoy immediately or set aside and freeze for an additional 10 minutes. 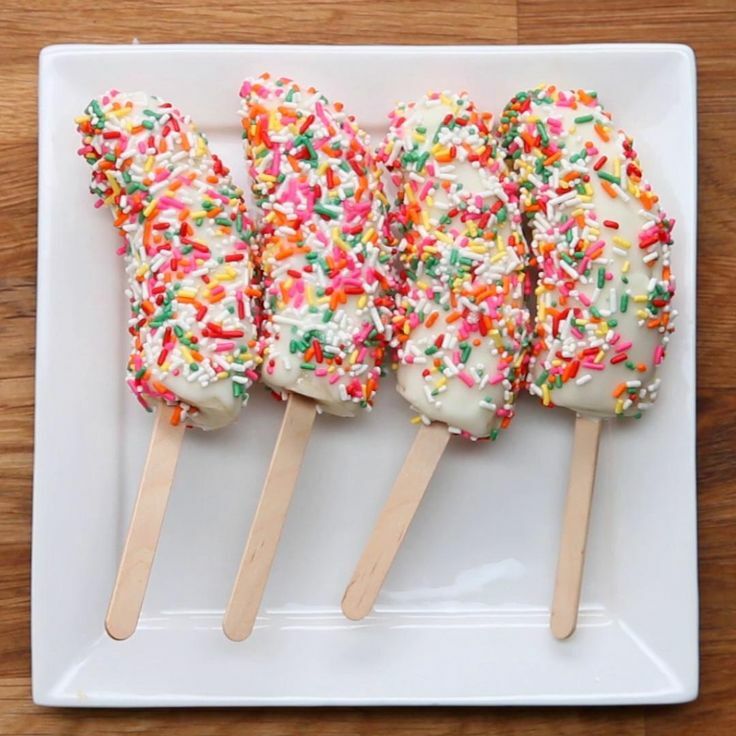 Coat bananas in white chocolate and sprinkle with rainbow sprinkles. Chocolate will harden so move quickly!